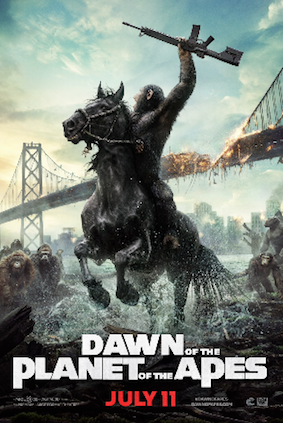 As long as human science and technology continue to advance there will be Frankenstein Monsters in horror television and film to warn us about the dangers of moving too far, too fast. In the 20th century, the Frankenstein Monster of this "science run amok" leitmotif manifested itself in fears of atomic power (in the 1950s), fears of online life and new advances in genetic science (1990s) and more. 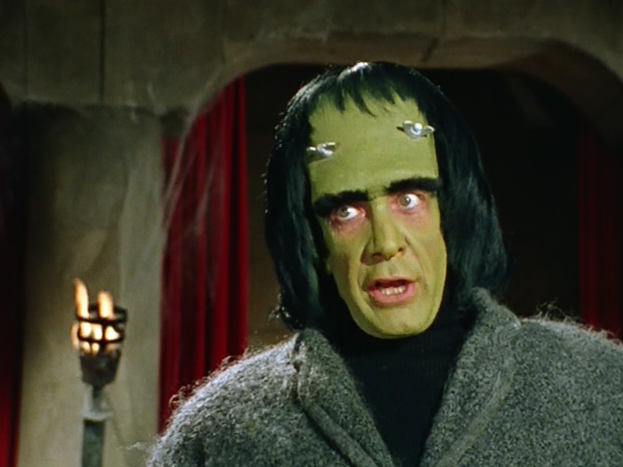 Cult television programming boasts a long history of featuring both Frankenstein Monsters and mad-scientists. One of the earliest examples of this monster came in the 1952 series Tales of Tomorrow. 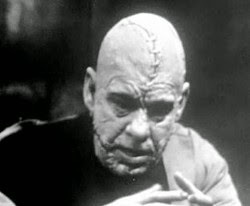 There, Lon Chaney Jr. starred as a scarred, bald Frankenstein Monster in an adaptation of Shelley’s novel. 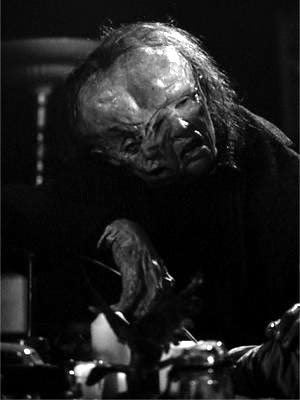 John Newland, later the host of One Step Beyond, portrayed Victor. 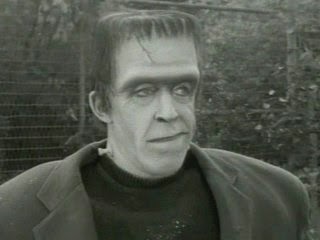 In the 1960s, the Frankenstein Monster was played for laughs on The Munsters (1964 – 1966). 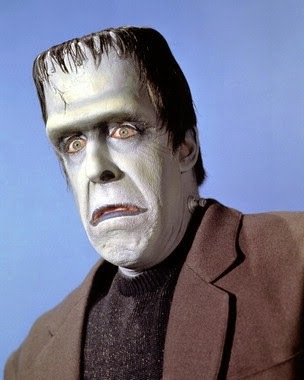 In this case, Herman Munster (Fred Gwynne) resembled Karloff’s 1930s Monster, but was the bumbling head of a “normal" American family. A decade later, another bumbling Frankenstein Monster (Michael Lane) appeared in the Saturday Morning TV series, Monster Squad (1976). In this case, the Monster was a wax figure brought to life at a museum, but boasting a pure heart, not to mention tremendous physical strength. 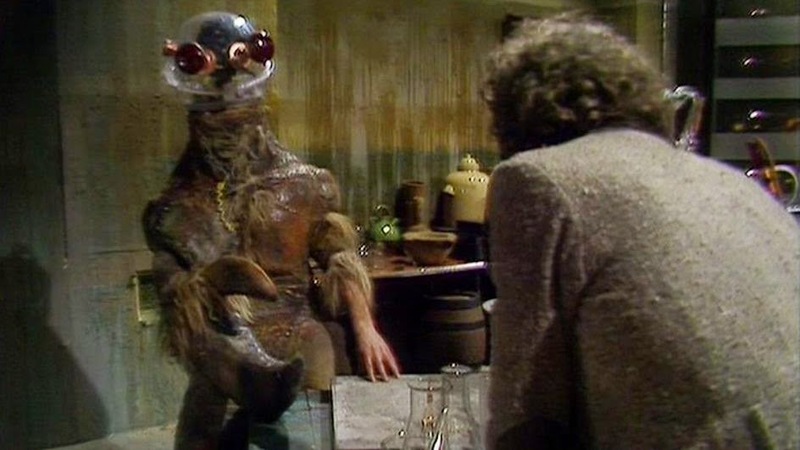 In Doctor Who’s (1963 - 1989) “Brain of Morbius” in the same year, the Fourth Doctor (Tom Baker) and his companion Sarah (Liz Sladen) set down on the planet Karn and discovered that Dr. Solon (Philip Madoc) qA gathering ill-gotten body parts to as assemble a body for the (still-living…) brain of a renegade Time Lord, Morbius. In this case, Solon substitutes for Victor. One of the key themes of Chris Carter’s The X-Files (1993 – 2002) Is the mis-use or abuse of science. Indeed, series' Mytharc s involves government scientists abducting people and conducting painful tests on them, a kind of Frankenstein experiment, in order to perfect a human-alien hybrid. In the fifth season, The X-Files more directly dealt with the Frankenstein tale in “Post-Modern Prometheus,” a story about a mad-scientist named Pollidori (John O'Hurley), who shows no respect for life, and creates new, horribly misshapen beings simply because he can. Buffy the Vampire Slayer (1997 – 2003) also explored the Frankenstein myth in the second season episode “Some Assembly Required.” There, a teenage genius (and Victor symbol) sought a bride for his dead brother, whom he had sewn back together and revived after a car accident, He set his sights on Cordelia (Charisma Carpenter). The entirety of Buffy’s fourth season involves, in a sense, another Frankenstein story, with Dr. Maggie Walsh seeking to put together a human/demon/cyborg creature, Adam. 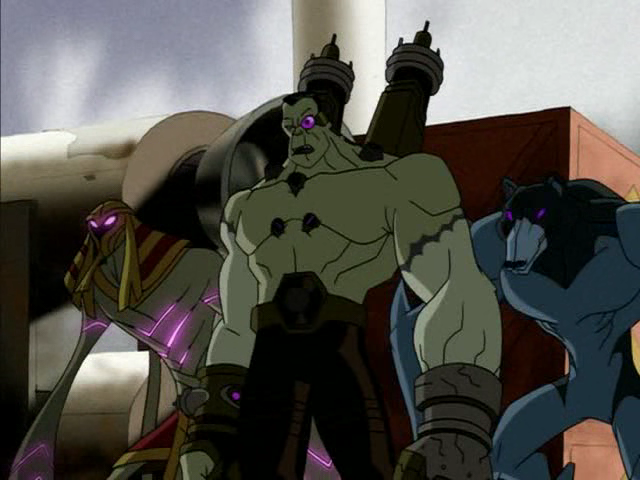 And on Ben 10, young Ben Tennyson has faced off a giant Frankenstein-like monster called BenViktor. How about "Frankenstein: The True Story" miniseries from 1973? 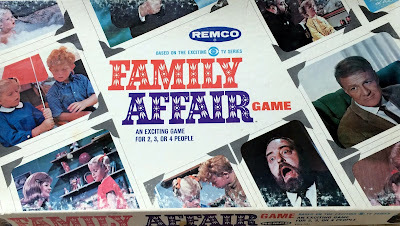 It scared the pants off me as a kid.